The Chuck Cowdery Blog: Kentucky Tavern Gets A Face Lift. Kentucky Tavern has gotten a face lift. This is the new label. 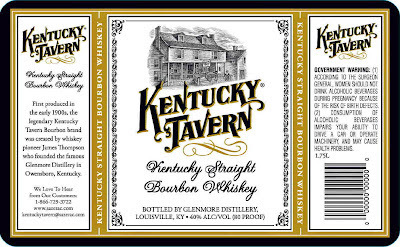 Kentucky Tavern was the flagship brand of Glenmore Distillery, which had its offices in Louisville, with the distillery itself in Owensboro. Glenmore also owned the Yellowstone brand, and its distillery in Shively (a Louisville suburb). Yellowstone was the bigger brand, but it was like Jack Daniel's is to Brown-Forman's founding brand, Old Forester. 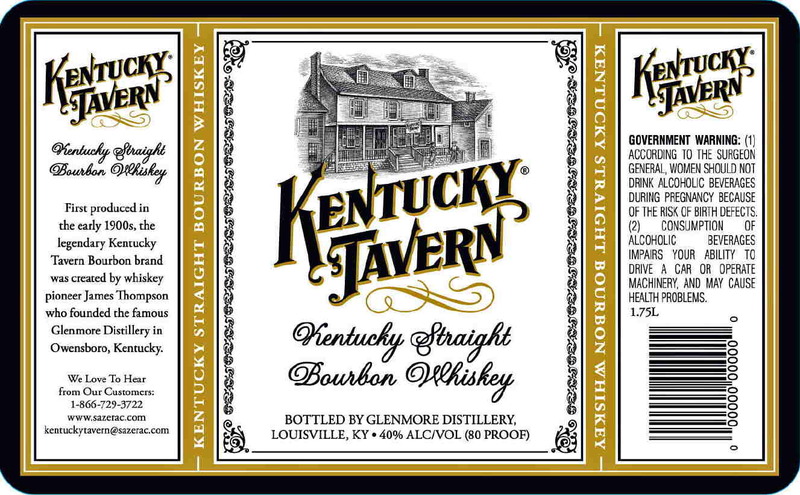 Kentucky Tavern - known as KT - was Glenmore's flagship. Glenmore was the Thompson family's distillery. The Thompsons, Browns and Van Winkles were Louisville's leading distilling families of the post-Prohibition era. The Van Winkles sold Stitzel-Weller in 1972. 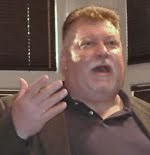 'Buddy' Thompson sold Glenmore to what became Diageo in 1991. KT got beat up and bounced around after that, at various points becoming "Kentucky Whiskey," and even a blend. Now owned by Sazerac and made at the Barton 1792 Distillery in Bardstown, it is Kentucky Straight Bourbon Whiskey once again. The KT brand was somehow linked to an actual Louisville bar of the same name, frequented by Louisville downtown business types because it was conveniently located between downtown and their northeast side homes. The bar's heyday was the 1950s, so one assumes the bar was named after the whiskey, which began in the early 20th century. The names may even have been a coincidence, but came to be linked together in the minds of many. Both were called KT. In the 1980s, when Glenmore was still independent and looked like it might be one of the survivors of bourbon's collapse, a new KT's was erected on or near the original location near Louisville's Cherokee Park. Good bar. Good sandwiches. No connection to the distillery or the original bar, just a tribute, and still in a good location. I want to put in a good word for KT bourbon. Sure, it's a lower-shelf bourbon, 80 proof, but it has a nice, friendly, unique flavor, and very little if any bitterness or harshness. I haven't been able to find out the mashbill, but it almost tastes like a corn whiskey with a little charred oak aging. Very little rye spice. Overall, well worth the ten bucks I paid for a liter.